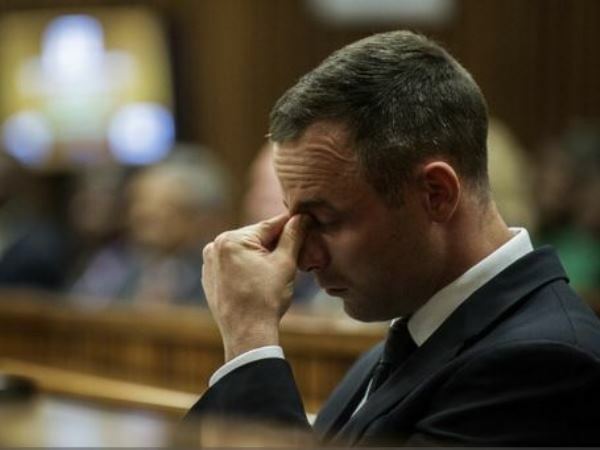 The five-year jail sentence imposed on paralympian Oscar Pistorius is "shockingly light and inappropriate", the State says in court papers filed on Tuesday. "Not enough emphasis was placed on the horrendous manner in which the deceased died coupled with the gruesome injuries she sustained when the accused shot and killed her," prosecutors Gerrie Nel and Andrea Johnson say. The State filed its application for leave to appeal against Judge Thokozile Masipa's conviction and sentence on Tuesday. The jail term would not have been imposed by any reasonable court, they argue. "The sentence imposed is shockingly inappropriate for the accused that armed him[self], with the intention to shoot, walked to the bathroom and fired four shots, knowing that there was a human being behind the door of the toilet. "We will argue that the sentence is inappropriate and shockingly light for someone that killed an innocent person with gross negligence where his conduct bordered on dolus eventualis [legal intent]." Pistorius was jailed for five years for the culpable homicide of his girlfriend, law graduate and model Steenkamp. He shot her dead through the locked toilet door in his Pretoria home on February 14 last year. For discharging a firearm at Tasha's restaurant in Sandton, Johannesburg, in January 2013, he was sentenced to three years in jail, suspended for five years. The sentences would run concurrently, Masipa ruled in the High Court in Pretoria on October 21. The State argued that Masipa erred in overemphasising Pistorius's personal circumstances, in not taking into account the consequences of his actions, and in overemphasising the purpose of "rehabilitation and reformation at the cost of retribution". The application for leave to appeal against the culpable homicide conviction was based on "questions of law". The State said the question should be posed whether the court correctly applied the legal principles related to circumstantial evidence, and the principle of dolus eventualis to the facts of the case. It questioned how the court dealt with Pistorius's numerous defences. "The question should respectfully be reserved if a court should trawl through a 'plethora of defences' and pick one for the accused, or should the court have rejected his evidence on the finding that he was untruthful and had more than one defence," the application reads.